The Acai Berry has received lots of publicity since the adds appearing on google have sprung up like hot-cakes. This berry is considered relatively a new thing in the States. Food scientists claim it to be the most antioxidant packed fruit. Acai Berry power exceeds the blueberry in nutrition without a doubt. Whenever I feel short of antioxidants I like to guzzle down some Acai Berry juice. It is kinda hard to find Acai Berry at your everyday supermarket. For more reading check out this article. As an added note, do not fall for the weight loss Acai Berry Scam. Too much of Acai Berry (or anything for that matter) can destroy your liver! If you flush out toxins with a slower, more healthier way you’ll be more likely to keep the weight off. A Surprising Hair Conditioner That Works Great! One beauty tips that has been passed down through the years from our mothers and grandmothers is using mayonnaise as a hair conditioner. Yes folks, it works! 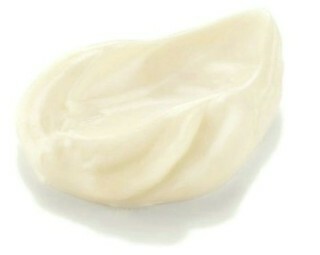 Its because mayonnaise has healthy oils and natural moisturizers that can make your hair more healthy, soft and shiny!! How To Use – Wash hair with shampoo. Then take a handful of mayo and lather on hair. LEave in hair for 5 minutes and rinse. Start Getting Rid of Those Blemishes! The foods you eat affect your skin, well-being and well, pretty much everything in your body. The foods you eat don’t give you breakouts but eating healthy can help prevent them. Eat a diet that has variety. You need to balance protein, fats, sugars and carbs. Stay away from foods that come in boxes (aka — pringles, oreos, cheez-its etc). Wash your face with a sent-free cleanser. Chances are, the ones with the least amount of ingredients are the best. Wipe your face with an alcohol-free toner to remove excess dirt. Exfoliate your skin. DON’T OVER SCRUB! Most people tend to exfoliate too hard and end up irritating their skin. Moisturize your skin. Find a moisturizer best for your skin type.